Some Helpful Roof Care Tips. 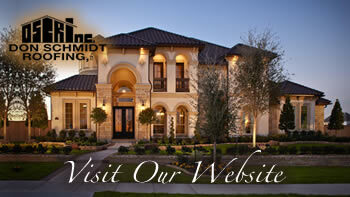 Home » Don Schmidt Roofing Blog » Some Helpful Roof Care Tips. Roof care is very important to the upkeep of a home. Here are some general tips to make sure your roof is in good shape. After storms, check your attic for water stains. If you have asphalt shingles, they should be replaced when the mineral granules along the top surface disappear. When you start to see black felt, call us and get the shingles replaced. If you install antennae on your roof, make sure to seal any holes you may have made. Make sure your gutters are sloping correctly. Make sure your gutters are clear of leaves and trash. Check for holes in your gutters. Try to clean your gutters out on a regular basis.